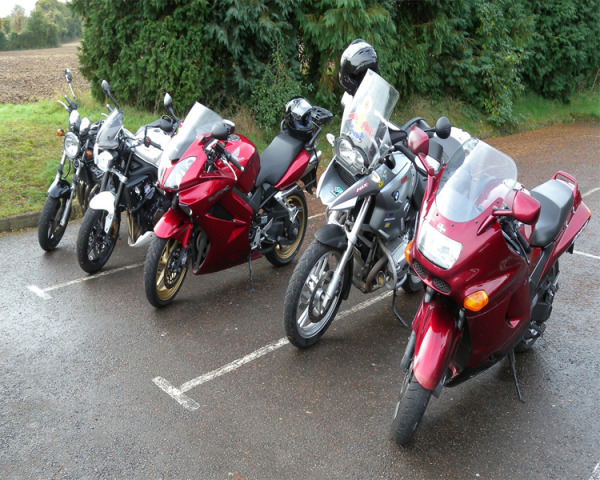 The basic mode of transport, bikes are available in a large variety of designs pertaining to the rider’s needs. Check out this article to find out the different types/kinds of bicycles. All you guys, who are novice bike riders and buyers, simply walk down to one of the bike shops in your vicinity and you will be surprised to see a bewildering multiplicity of bikes lying around to choose from. Right from fat tires to thin tires, flat handlebars to drop handlebars, skinny saddles to lounge chair saddles, you name it and you have it at your service. While most picture a bike, or bicycle, to be a two-wheel pedal-driven land vehicle, did you know that apart from this, the bicycle industry has several other wheel arrangements, the most common being unicycles and tricycles? Although there are several types of bicycles, they are all broadly categorized into five types. Further, each type has many subtypes, which simply add to the never-ending list of bicycles. Anyways, let’s check out the various kinds of bikes in the lines herein. A road bike is characterized by very light weight frame, dropped (curved) handlebars, narrow seat and very narrow tires. Road bikes are particularly meant for riders who love speed and serious mileage. The dropped handlebars and narrow saddle allows the rider to pedal efficiently, while keeping his back almost parallel to the ground. Due to less air resistance, this position enables the rider to ride fast. However, this position may not be very comfortable for beginners. Since their inception, road bikes have been improved tremendously and are popular amongst experienced cyclists. Designed for off-road or trail riding, mountain bikes are meant for mountain tracks. Hence, they are distinguished by high-performing brakes, suspension, fat tires, flat or riser handlebars and comfortable seats. In order to provide the best control and comfort on the roughest terrains, the suspensions are designed in such a way that they are shock-absorbing. The fat and knobby tires provide more traction and “cushion”, while the flatter-profile handlebars enable the rider to comfortably position himself leaning over the seat. Also known as a cross bike or comfort bike, a hybrid bike combines the features of both mountain and road bikes. While the seats are that of a mountain-trail bike, the handlebar positions with wider tires are a feature borrowed from the road bikes. Hybrid bikes can travel through rough grounds just like the mountain bikes. However, they lack good results on a bumpy ground. Also, they are speedy similar to a road bike, but not as fast as them. Different from other bike types, a recumbent bike assists the rider to sit in a reclining position instead of the traditional “upright” style. It is designed to provide the rider utmost riding comfort, along with minimal wind resistance. Recumbent bikes are manufactured especially for people who suffer from back, neck or hand problems. The bike allows them to reach high downhill speeds and difficult to climb hills easily and comfortably as opposed to the traditional bikes that are likely to aggravate the problem. Furthermore, recumbent bikes are well-suited for long distances due to the supine position of the rider. A cycle built for two, the riders’ sit behind each other on the tandem bike rather than beside each other. The person riding in the front is called the captain, pilot or steersman, while the rider at the back is termed as the navigator or stoker. The captain is meant to control the steering, braking, shifting and pedals. Though the stoker assists in pedaling, he/she is at an advantage to enjoy the scenery and views passing by, in particular. To enjoy the ride on a tandem, the two riders have to compliment each other in terms of riding and communication. Tandems are further classified into four subcategories: mountain, road, hybrid, and recumbent.